So you have a newly installed WordPress blog but now what? Well, to get the most from it, you should check a few things to make sure it is configured correctly and optimized for both SEO and for speed. Contrary to what you may have read or been told, WordPress or blogging is not going to be replaced or rendered obsolete by other content management systems anytime soon. Yes, some systems allow you to easily add pages to your site and make site-wide additions or tweaks within one central location as WordPress does. But when it comes to the blogging community and the viral traffic generation it brings, WordPress and blogging, in general, will continue to grow and evolve. Having a nice website that is easy to control is only part of the equation. Correctly using an optimized blog as part of your site is probably the easiest way to generate traffic to funnel into that nice site you have been working on. Here are a few things to look for in a WordPress blog’s dashboard to make sure it is properly configured and optimized. Next click Options then Permalinks option. If the default option is selected; Your Blog Is Not Optimized. Below is what I suggest to have the permalinks changed to for best SEO. If it’s not there and Your Blog Is Not Optimized.. Download the Yoast SEO plugin. If upload media as in images to your blog and you get a failed to write to disc or any other error message; Your Blog Is Not Optimized. Chances are there is a plugin issue or you just need to read our speed optimization guide for WordPress. The most important plugin is for SEO. If you don’t have any plugins installed other than Akismet and Hello, then; Your Blog Is Not Optimized. 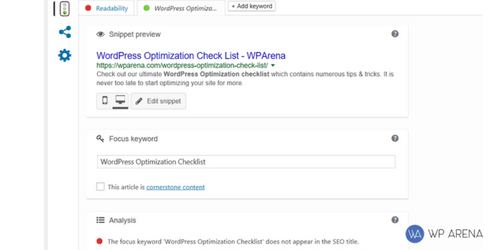 This post is just a reality check and not a guide on how to optimize your WordPress blog. 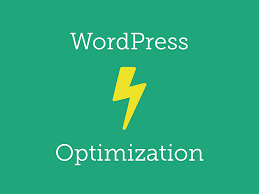 If you use some of the resources here on my site and online you will find all the information you need to optimize your WordPress blog. I can optimize your blog for a very reasonable fee depending on what you want to be done.